Top > What have been done? 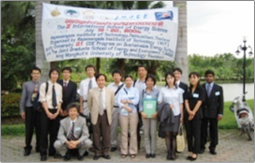 Graduate School of Energy Science, Institute of Advanced Energy, and Research Institute for Sustainable Humanosphere at Kyoto University, had jointly proposed “Establishment of COE on Sustainable Energy System” for the 21st century COE program. 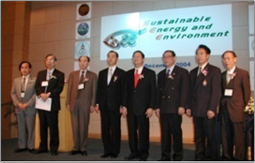 The proposal was accepted in 2002, and the program finished in 2007. The research programs consisting of four main tasks, which to achieve sustainable energy system, aim at the establishment of environmental-friendly society. The educational program, which is also included in this COE program, aims at encouragement of students who can adequately deal with problems on energy and environment from wide viewpoints. Furthermore, the International Sustainable-Energy Information Center, which is founded to dispatch energy information and to propose the related policy, collects and analyzes various kinds of energy and environment data. The present COE program will carry out the duty of university for society to promote international joint researches as well as industry-government-university collaborations.